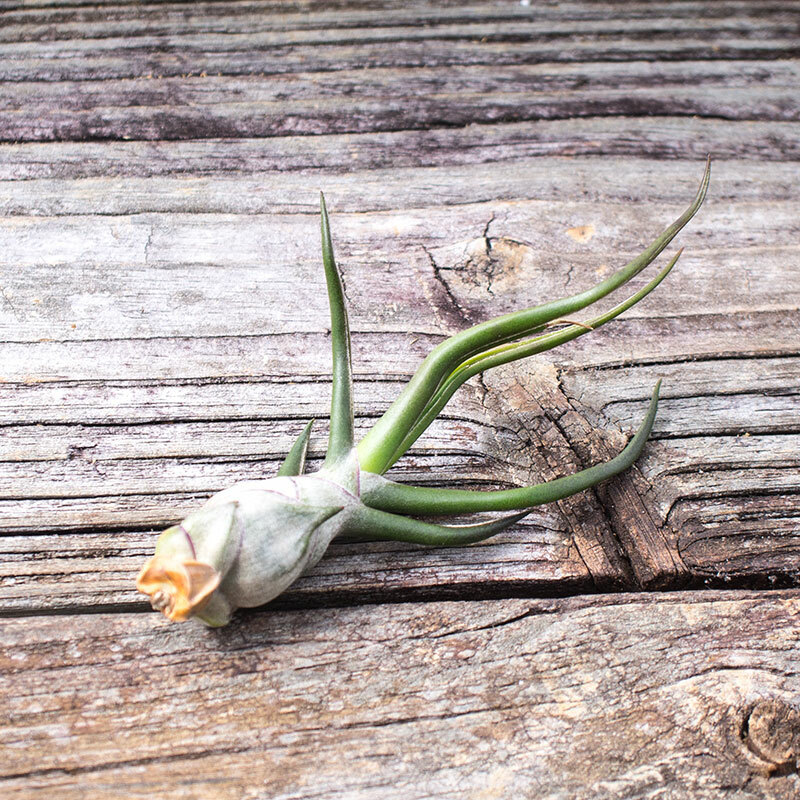 Tillandsia Bulbosa are EASY to grow and easy to love! With that deep, dark green, deliciously smooth skin and those frozen in space sculptural leaves - you will be captivated - guaranteed! Tillandsia bulbosa grows native to the West Indies, southern Mexico, Central America, Colombia and parts of Brazil. 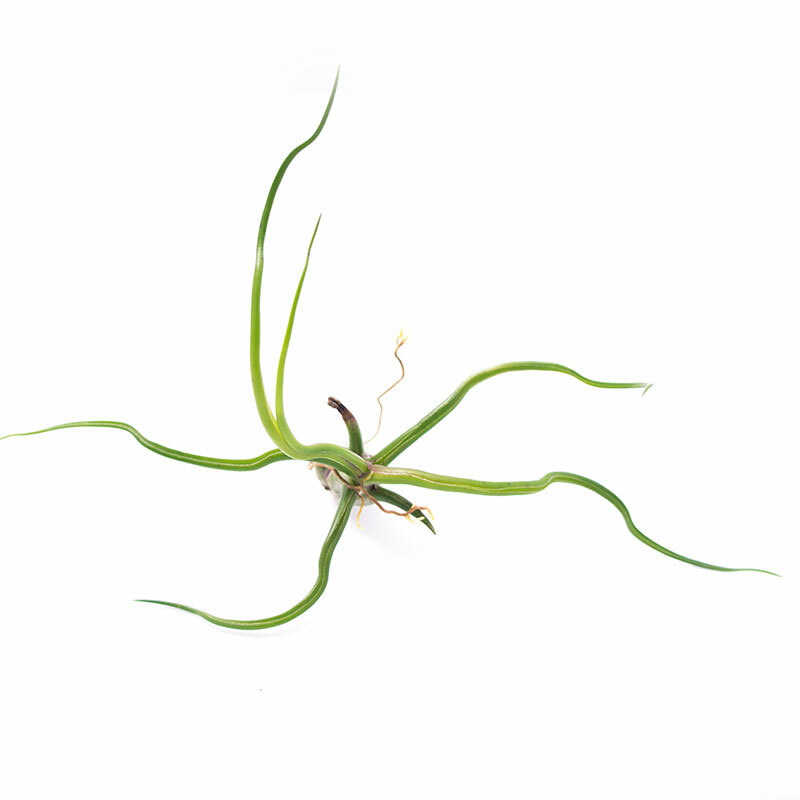 Bulbosa air plants typically grow in large clumps on trees in open woods and forests. Tillandsia Bulbosa air plants do best in warm humid environments. You can reproduce acceptable conditions in dry zones with daily misting. 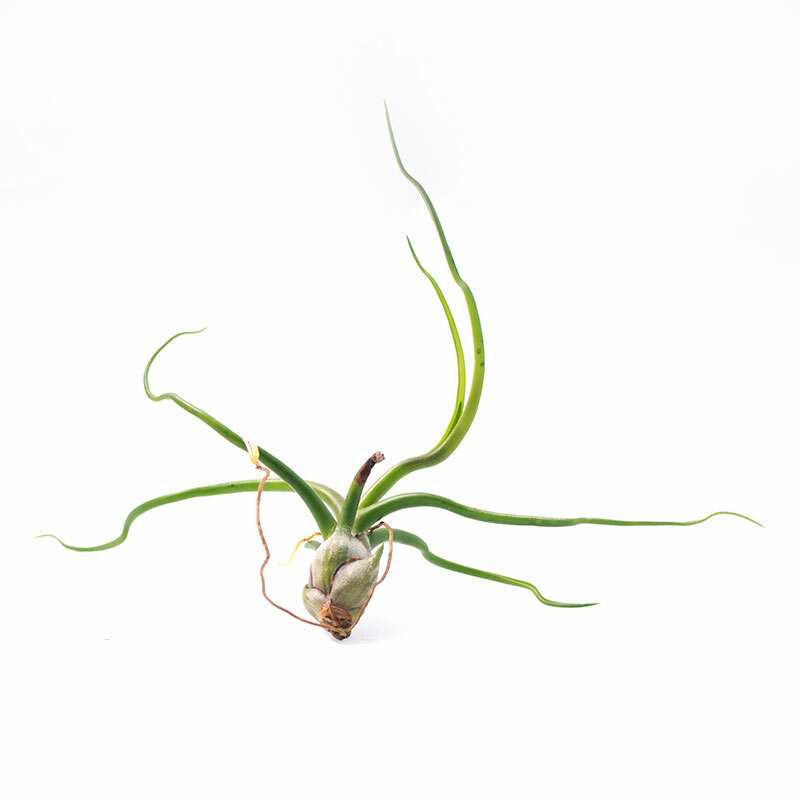 Small Bulbosa air plants are quite tiny, up to 2 inches. Medium plants range from 2 to 4 inches. 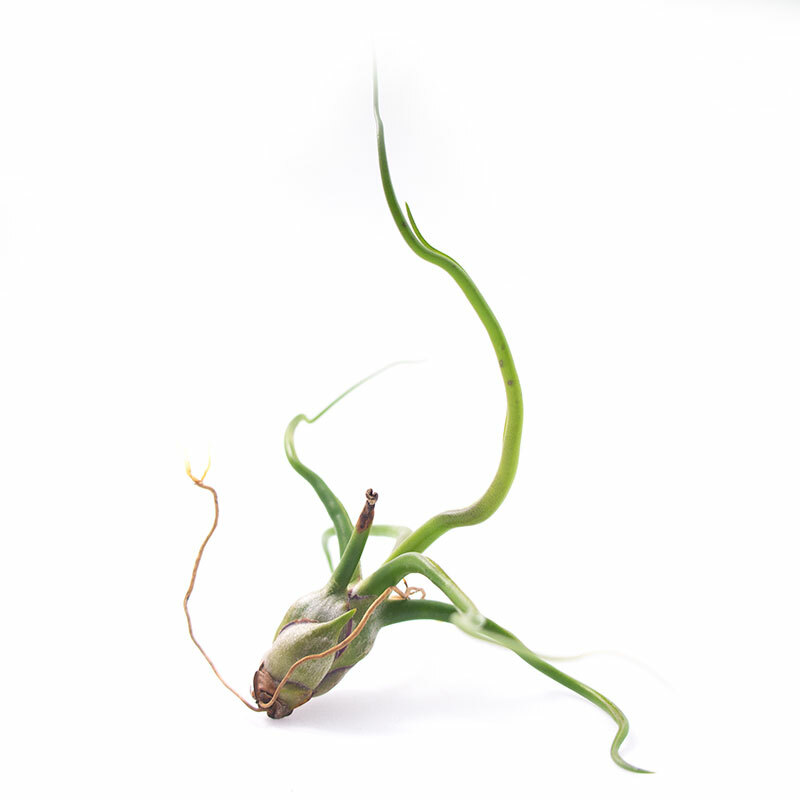 Large Bulbosa air plants are 4 inches in height or width and up. Tillandsia Bulbosa have been know to reach 8 inches, although it is uncommon. A giant version of Tillandsia Bulbosa with red flushes of color.